Eric Breish, The Sun Still Shines on These Wounded Lands. All photos courtesy Lee Escobedo. 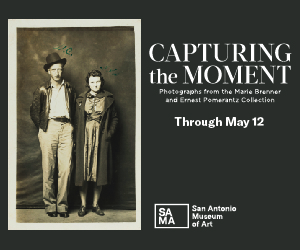 Heading into San Antonio for spring break, exhibitions and art were the last thing on my mind. I was taking my yearly road-trip to the city with my father for what would be our twelfth year in attending the UIL State Boys Basketball Finals. However, I was attending the tournament this year with an interest in exploring the gallery terrain of the city as well, scheduling a stop at a well-publicized opening at the cooperative studio space and art gallery, Clamp Light Artist Studios and Gallery, located in the Beacon Hill District. This is the kind of space I wish existed more prominently in Dallas. While DIY, artist-run spaces were prominent a few years back, funding, and the progression of careers in the Dallas arts has led to a gradual decline. Clamp Light is a tight, raw space, with a small cube shaped front foyer serving as an exhibition space. Walking past the exhibition space one will find a row of artist studios on either side. The artists currently involved with the studio space are Sarah T. Roberts, Tom Turner, Carol Cunningham, Colleen O’Brien, Jose Villalobos, Sunday Ballew, and Jen Frost Smith. The work of Joe Garcia III. 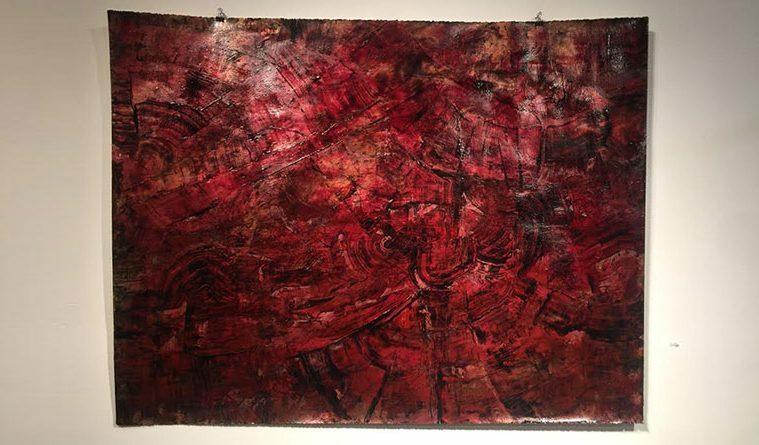 March is Contemporary Art Month in San Antonio and the space brought in multi-media artist Raul Gonzalez to curate a series of shows in the front exhibition space. My trip to San Antonio coincided with the second installment of a series of three shows featuring San Antonio artist Eric Breish titled Grim State. Rafael Fernando Gutierrez Jr. and Alyssa Danna were also included in Gonzalez’s series. Walking into the foyer I couldn’t help but think of the works installed as a commentary on dystopia, the apocalyptic, and ruin. These are paintings of dread: dark washy hues foreshadowing impending doom. In Grim State Breish is working through multiple mediums: printmaking, ink on aluminum, wood, mixed media on paper, without committing to any. 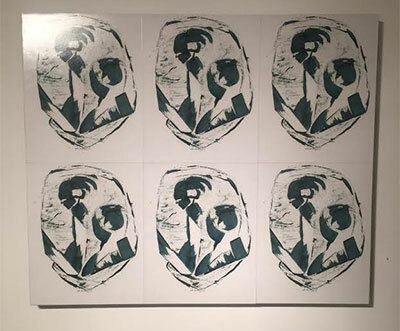 The attempts here are many, with only a few making connection, although it’s impossible to miss the influence: there are references to pop-art throughout the show, lifted without irony. The first four pieces one sees upon entering, a series of white, blue, yellow, and black paintings which utilize acrylics, oil, and magic sculpt on gesso boards are each adorned with a single word, “washed”, “blood”, “bellied”, and “power”. These paintings serve as screen shots of our TV screens and phones, Facebook feeds, 24-hour news cycles, and sensationalized headlines, they use Andy Warhol’s cheeky humor to comment on our proclivity towards violence and apathy towards it. However there’s not much new to Breish’s conversation on decay. The issues Breish is dealing with are somber and pertinent, but it’s not a critique of subject matter that prevails here. It’s the vehicle driving the message which is lacking. It wasn’t shock or empathy I felt scanning the room viewing the paintings. I was more aware of the artist’s heavy hand, something on its fullest display in the hand written pencilings underneath one of the mixed media on paper works, a piece titled Baltimore which deals with rioting and looting: “unfortunately the actions of the few result in the destruction of the many.” These gestures come across as more trick than treatise. With all the possibility of Breish’s content, I wish there had been more of the artist on display. Perhaps a more subtle nod to inspiration without having to use the same bullhorn as those who came before. While his social-political views were clearly on display, I felt the artist behind them absent. San Antonio is in a way, the last major Texas city that still has a feeling of the Wild West in it’s gallery landscape. It seems ripe for experimentation and a flexing of ideas. I was hoping for more of it when visiting the outskirts of the city. 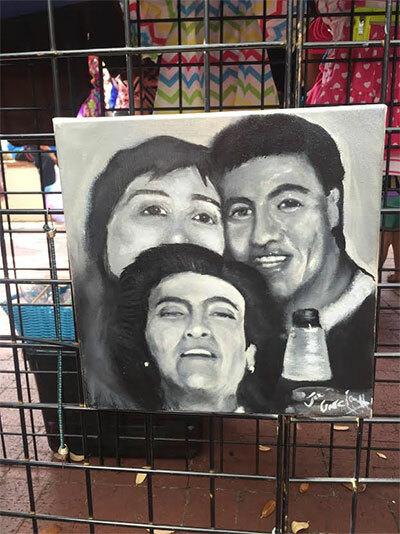 Oddly enough it was deep within the historic El Mercado, San Antonio’s downtown market rich with Mexican-American heritage, that I stumbled upon a small tent where several monochromatic paintings hung, work by the artist Joe Garcia III. Entrepreneurs, artists, and taco stands fill almost every square inch of the outside square. Garcia was sitting in a tiny chair and rose to greet me after he noticed me spending quality time looking at his paintings, which reminded me of my grandmother’s photo albums. The painting is full of emotion yet the grays and fades of brush strokes do not impart a heavy dose of nostalgia. They are dream like pieces. My grandmother used to tell me she saw, through the squint of her weary eyes, my grandfather, who had passed many years before standing at her bed side in the early morning light. These paintings had a similar resonance of the spiritual. My favorite piece, and probably the best work I’ve seen in quite some time, was a large colorful painting of the artist as a young man. We see the artist crawling towards his window as he peers out into the violent void. In the sleepy darkness of night a single church burns. Flames lick the roof, unforgiving, with smoke like spirits dancing within the flames. Below, on the lonely streets, children stand and watch, without tremor. A strange, ambiguous figure speaks with a young boy. The painting is a powerful work. Garcia’s work dug deep into me. It was raw, feral, tender. It shook me out of any assumption that the work I was supposed to see was in the galleries and co-ops. I found myself wading through the muck of my own fears, anxieties, and humble hopes in the 6×6 sq. ft. space of Garcia’s outside booth. 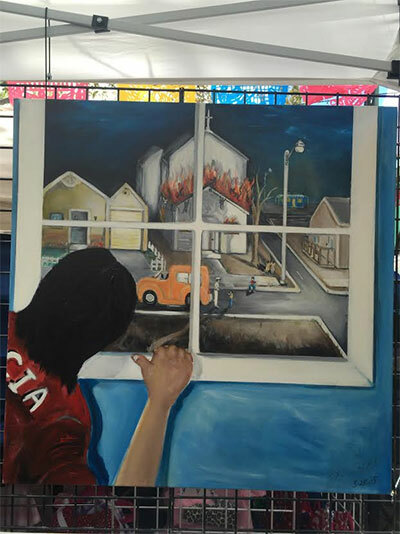 Lee Escobedo is a Dallas-based critic and writer whose work can be found in Terremoto Magazine, Berlin Art Link, Glasstire, and The Dallas Morning News. He was the 2016/2017 co-programmer of The Artist Circle at The Nasher Sculpture Center.